Philadelphia, Pennsylvania, United States, is home to more than 35 institutions of higher learning. The city recently saw more than 70 young adults from across the North American Division (NAD) gather specifically to reach three of those campuses. On March 1-4, 2018, these campus ministry students focused on reaching out to Bryn Mawr College, Temple University, and Drexel University. Approximately 23 individuals registered for the full weekend (Thursday-Sunday). The mission project began on Thursday night. On Friday, participants learned about the Adventist prophetic identity in a morning seminar and then spent the afternoon and evening on the campus of Temple University. On Saturday, more than 70 young adults gathered for Sabbath School and church at the Philadelphia Central Korean church. Several members of Allegheny East Conference (AEC) churches in Philadelphia, Pennsylvania, also participated in the services. Approximately 52 individuals took part in outreach efforts on Saturday afternoon. 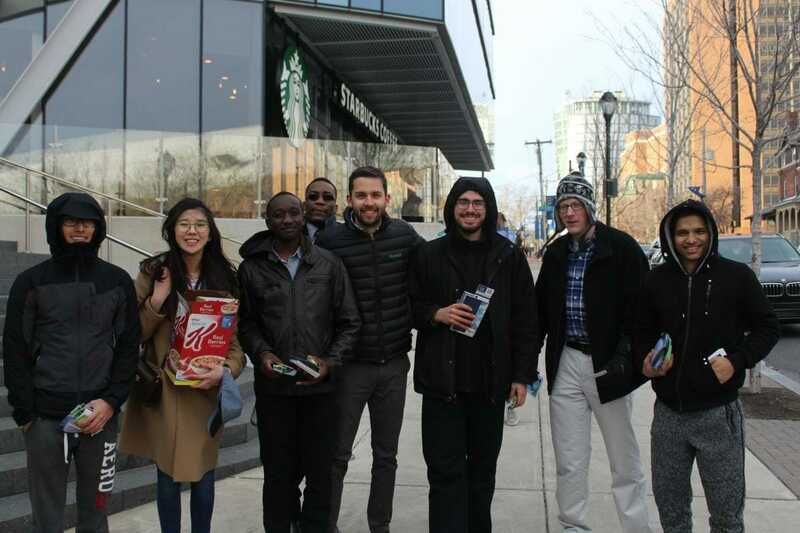 The goal of this mission project — organized by the NAD’s Adventist Christian Fellowship (ACF), ANEW (a mid-Atlantic campus ministries network), and young adults at the Philadelphia Central Korean Seventh-day Adventist Church — was to galvanize Adventist young adults to a more active presence on their campuses. 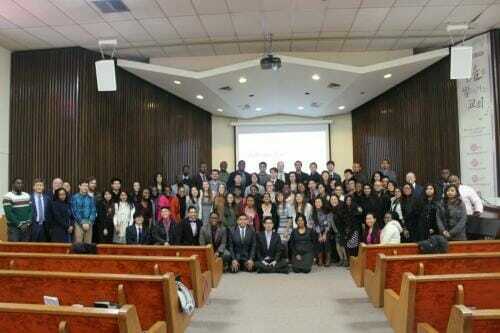 The event was organized and executed by young adults from each of these entities. “The initial motivation for this project was to provide a practical training opportunity in campus ministries for students who had attended ACF’s annual institute,” organizers said. ACF’s institute is a weeklong training event for Adventists attending public universities. The more notable outcome of the event, however, was to demonstrate the rich possibilities for collaborative campus ministries efforts in Philadelphia. Snow and wind, and other logistical challenges hampered some of the programming. Outreach efforts, however, resulted in one student signing up for Bible studies and another who connected closely with a few mission trip participants. Lucien Nana Yobo, chair of ACF student association, shared a short testimony about his experience as an international student. Attendees learned about the original mission-focus of Sabbath School and responded to an appeal by Juan Antialon, the Saturday morning speaker, to recommit themselves to Jesus. Sabbath outreach included an interactive activity with a Daniel 2 cardboard statue, singing groups, a spa activity (at Bryn Mawr only), and a love language survey. In the evening, Jermaine Gayle made specific appeals for baptism and rebaptism and a commitment to missions, to which four individuals responded. On Sunday, the event ended with Gayle giving a final charge to remaining participants. “We believe that God greatly blessed this initiative by giving students a greater excitement and desire to be involved in campus ministries work,” said ACF partners. “This mission event has shown that much work remains to be done to reach students at these colleges and universities even in one city.” They added, however, that they feel greatly encouraged by the progress made through this event in connecting students and church leaders. Now ACF leaders are hopeful events such as this one can be repeated and improved upon. “We expect only greater results in the future,” they said.